Using diving equipment, such as a rebreather, must be preceded with a proper specialised training. Only persons who have completed the training and have obtained a permission to use a rebreather can purchase this equipment and use it. While diving with a rebreather, a number of problems may occur, which, if not solved properly, can pose a serious life threat. Therefore, it is necessary to understand how a rebreather works. 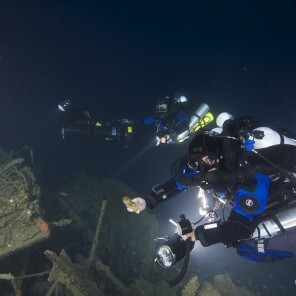 On account of a small consumption of breathing gases, a lot of divers chose to use a rebreather especially while deep diving. I run rebreather diving courses on all levels, from beginner to advanced. That include AP Buddy inspiration, HamerHeaad (currently X-CCR), JJ-CCR, ReVo, Megalodon, Pelagian and many more. If you know nothing about rebreathers, read the introduction into the world of rebreather diving. Due to the principle of operation, two kinds of rebreathers can be distinguished – semi-closed (SCR and PSCR), that currently are not widely used in technical diving, and closed (CCR), with which I run my courses and about which is the text below. Rebreather is a breathing apparatus with a closed circuit of a breathing gas (C.C.R.- Closed Circuit Rebreather), in which the exhaled oxygen is recycled in the circuit, so that the diver can use it again. Carbon dioxide (CO2) absorbent chemically removes CO2, and oxygen controller controls exhaled air, and injects oxygen when needed to maintain oxygen partial pressure (PPO2) with specified parameters, called setpoints. Oxygen is delivered directly to a canister with pure oxygen. 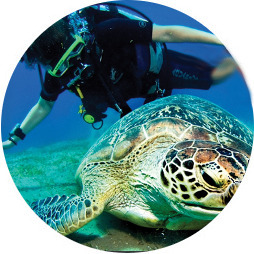 While diving, it is necessary to add more gas to maintain respiratory volume. If a gas has low contents of oxygen, it dilutees oxygen and it is called a diluent. Thanks to the diluent , a diver is able to dive below 6 meters deep, which is the limit for closed circuit breathing apparatus with pure oxygen. 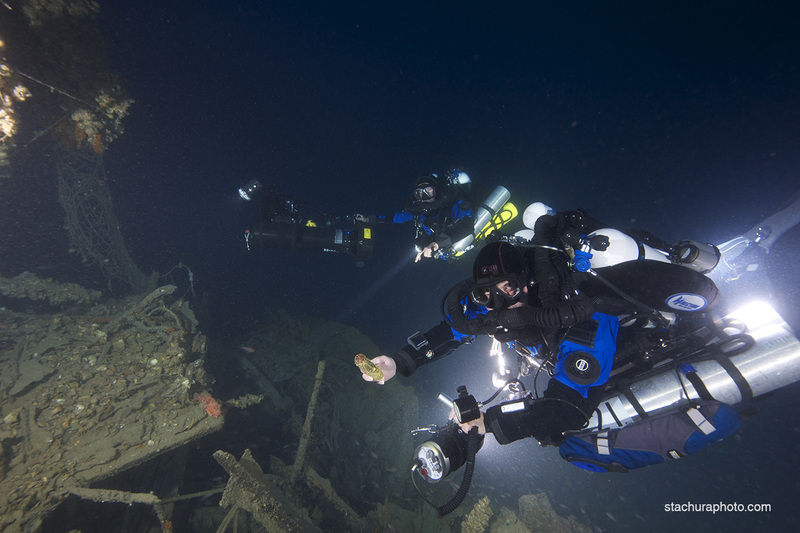 How deep can you dive with a rebreather? There are two main factors that determine possible depth. First is the volume of a diluent canister, second is the volume of the bailout canister. 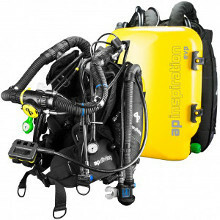 If air is used as a diluent, a rebreather can be used at all depths, up to a limit of air diving, usually 40-50 meters. With normal sports diving on such depths, regular air is used as a diluent. Normal compressed air, with proper diving quality is used. If trimix is used as a diluent, than, the same as with open circuit, possible depth is limited by the contents of this particular trimix mixture. The volume of a canister and the kind of diluent is crucial while determining the depth of a dive. There must be a sufficient amount if the diluent for breathing at that depth and for emerging at open circuit. We only use a small part of the air we inhale – around 4 % on the surface, of which most is transformed into CO2 and exhaled together with the remaining 96% of unused gas. With recirculation of exhaled gases, removing CO2 as a waste product and complementing oxygen, we are able to reduce the consumption of oxygen from the canister to the same amount that we use for our metabolism, which is between 0,5 and 3 litres per minute, depending on a person and work performed. When a diver is at a target depth, they no longer use the diluent, unless the respiratory volume is reduced by gas loss, such as blowing the mask. In this case, more diluent must be added to the counterlungs in order to enable the diver to breath without limitations. However, the consumption of diluent for a rebreather is usually very small, around 30-50 bar from a 3-litre canister. 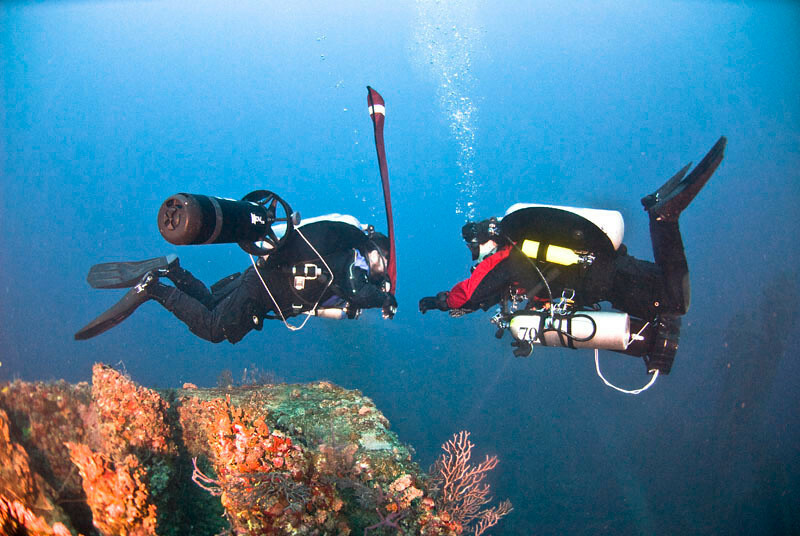 Oxygen’s partial pressure in a rebreather is usually controlled by three oxygen sensors. While a diver is using oxygen in the metabolic process, the partial pressure drops. The moment it drops below the setpoint, a valve of a solenoid opens, and more oxygen is injected. By controlling the pressure of oxygen in the loop, we are able to maintain higher level of PPO2 than with an open circuit, reducing the time of decompression and gaining longer time without decompression or a bigger physiological safety margin due to the lower saturation of the diver’s tissues with the inert gas. Closed circuit enables the diver to plan diver with longer bottom time profile, thanks to the consumption of diluent being almost independent of the depth. However, decompression, in comparison with classic open circuit, is much shorter. While diving with a rebreather, there is a number of benefits for diver’s body, that increase the safety margin. It is a warm, and, more important, humid breathing gas, produced by the device, maintained on a specified level of oxygen’s partial pressure. The are many underwater world exploration that is impossible to plan and perform with a regular canister and apparatus, and CCR gives us such opportunity. 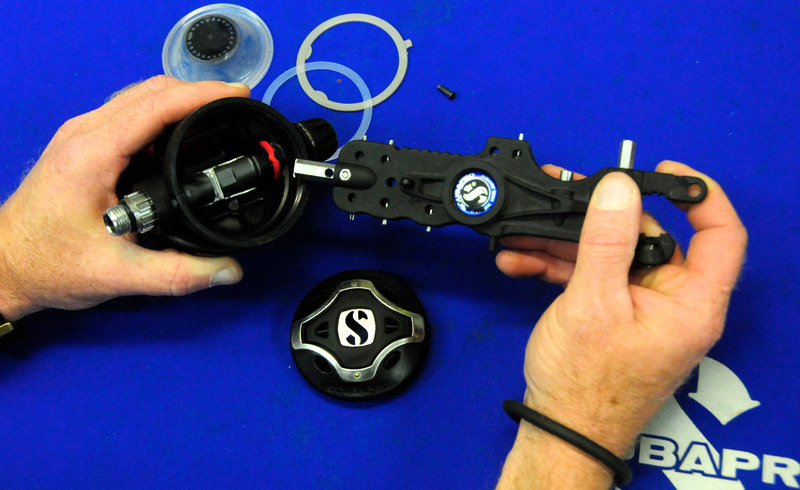 Rebreather is a much more complicated device than the ones used with open circuit. 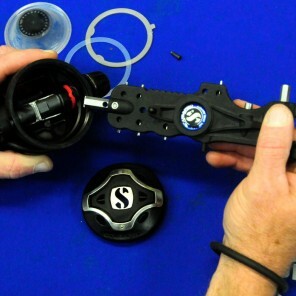 Some failures may require a diver to change to the closed circuit and end the dive in this way. Such scenario is an obligatory part of any rebreather course. The amount of gas, that we must take with us to end a dive safely in case of the equipment failure is called bailout gas, and is usually a main limit of the depth possible to achieve with a rebreather. While some of the dives are extremely difficult to perform with open circuit, a number of divers decide to change to the closed circuit in order to perform them. In the last few years the number of people using rebreathers for sports diving has increased severely. That is because of the fact that knowledge and accessibility of technical training has become more common. It is impossible to say that one particular rebreather is the only right one or the best. It is similar to cars, although the principles of construction and operation are similar, the number of options is huge and the choice of a unit is dependent on the type of dives to be performed and divers preferences. 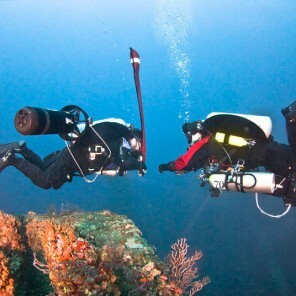 There are many good and popular rebreathers used for sports diving. Among them are: Buddy inspiration, JJ-CCR, ReVo, HamerHeaad, Megalodon, Pelagian and many others. Each one of them has its advantages and disadvantages. With no doubt one the most popular is Buddy Inspiration, which I use to run my courses. It was one of the first to obtain a CE certificate and to be allowed for usage in European Union. 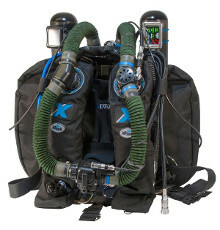 Another great unit allowing to conduct advanced and extremly long dives is successor of HammerHead Rebreather – X-CCR. If you are interested in rebreather training, just call or e-mail me.